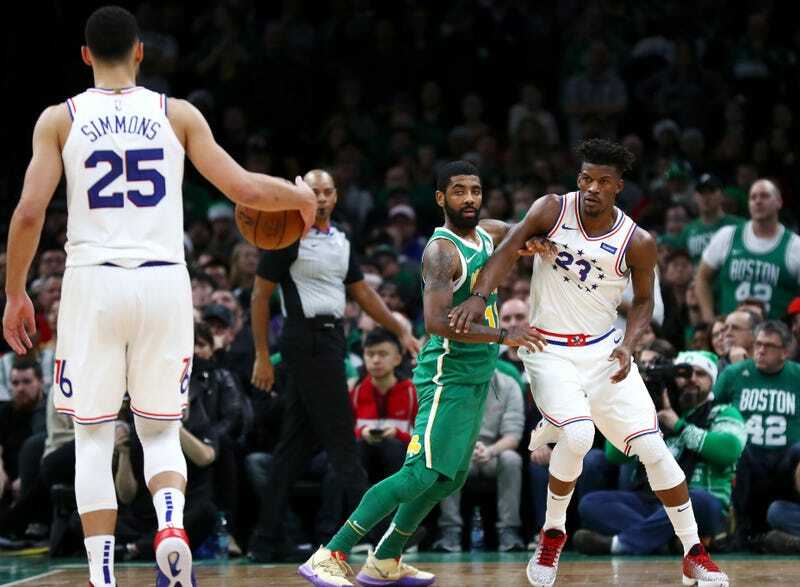 Kyrie Irving caught fire to help the Celtics pull away from the 76ers for a 121-114 overtime win in a statement battle between two of the let’s say three best teams in the East. But it was his counterpoint who celebrated Christmas Day with a career high, even if it was a total accident and still sort of a bummer. Yes, Ben Simmons’s 22-footer—a bailout turnaround jumper with the shot clock running down, but a midrange jumper nonetheless!—was the longest made shot of his NBA career. It tops Simmons’s old career high of 20 feet, made against Miami in April, and easily beats his previous season high of 14 feet. He can shoot from distance, as we know. He just doesn’t, not in games. 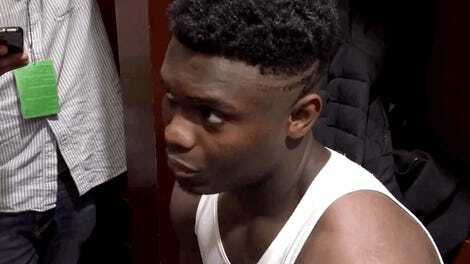 It’s a real weakness in an otherwise excellent game, and makes him and the Sixers that much more vulnerable just for the fact that everyone knows it’s a thing. Simmons was good in the Christmas loss, scoring 11 points on 4-of-9 shooting, plus 14 boards and eight assists, though with four turnovers. But Philadephia’s offense ultimately runs through Joel Embiid and Jimmy Butler, and both men’s jobs are made that much harder by opponents knowing they don’t have to worry about Simmons’s jumper. Consistently throughout the game, the Celtics pulled a defender off Simmons and double-teamed elsewhere, particularly on Butler in the pick-and-roll or Embiid in the post. Both men still got their points, but they also combined for 10 turnovers—six by Embiid, who as the game went on found himself with the ball less and less. He wasn’t happy about that. This is potentially to be read as criticism of Brett Brown’s gameplan, but it’s also a function of the realities of the personnel on the court, and when a team finds itself playing basically 4-on-5 on offense because your opponent doesn’t fear your point guard’s shot, eventually you’re going to stop passing into that double-team down low. I’m not sure what the Sixers do about this, beyond pushing Simmons to develop a three. He’s in just his second season, so it’s not impossible. But until then, there’s a clear blueprint for beating them, and it’s one that the East’s other best teams are well-equipped to follow. Alternately, the Sixers might be soon getting back another guard who can’t shoot.